It was great to finally meet in person Daniela Manger of Manger Audio. 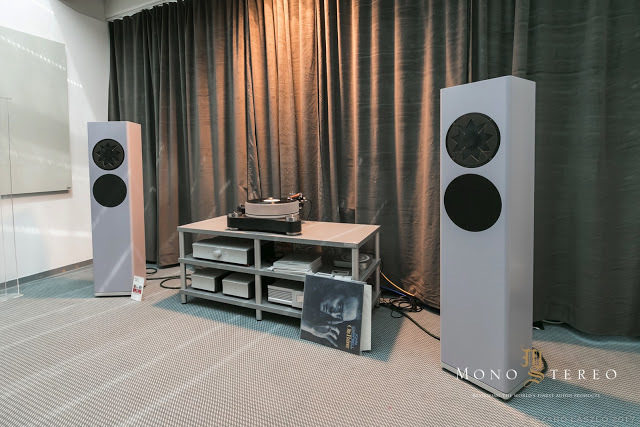 We've exchanged some thoughts about the high-end audio industry at set plan for the upcoming reviews. Manger has shown their P1 floor-standing speakers in the stylish NCS (Natural Color System) colour. System consisted of Mola-Mola mono power amplifiers and preamplifier driven by the Scheu Analog Slate turntable. Manger® Sound Transducer delivers very different (natural like) sound with lighting fast transients, that are able of fast rise time of 13 µs!